Add the ingredients to a cocktail shaker. Shale well until it feels really cold, about 1 minute. Serve in small glasses and enjoy! If you don't have a cocktail shaker, you can use a large glass to mix the ingredients and use a spoon or strainer to remove the ice. These tiny cocktails are perfect for the hot summer days. As I've already mentioned, the cocktail expert in my house is my husband. He likes to experiment and I am the official taste tester. Personally, I like the fruity cocktails. They're refreshing and light. 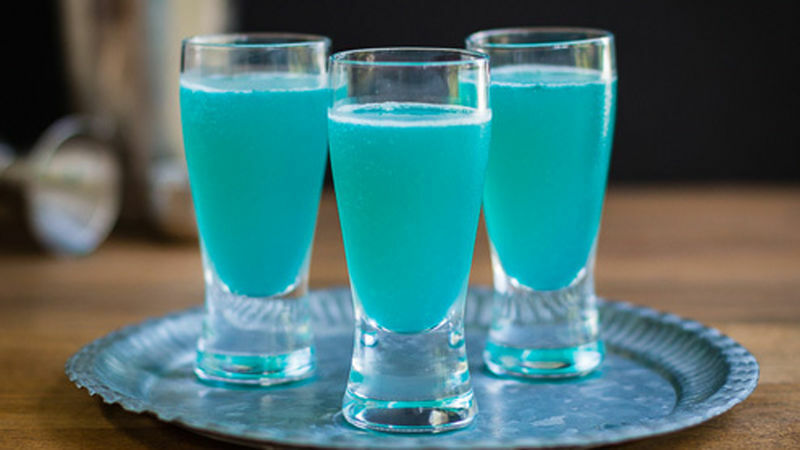 These turquoise shots are not only pretty, but they're also delicious!